For years, Cornerstone CPA Group has been providing quality, personalized financial guidance to local individuals and businesses. Cornerstone CPA Group's expertise ranges from basic tax management and accounting services to more in-depth services such as audits, financial statements, and financial planning. Cornerstone CPA Group is one of the leading firms in and throughout Denver. By combining our expertise, experience and the team mentality of our staff, we assure that every client receives the close analysis and attention they deserve. Our dedication to high standards, hiring of seasoned tax professionals, and work ethic is the reason our client base returns year after year. Our mission is to help clients maintain financial viability in the present, while taking a proactive approach to achieve future goals. This requires open communication to reach an understanding of our clients' needs through research and sound analysis. Cornerstone CPA Group is dedicated to meeting these goals with high standards of excellence and professionalism. We have been a staple of Denver's business community for years, and pride ourselves on the level of esteem we have earned. Our dedication to hard work has earned the respect of the business and financial community in and around Denver. We believe this to be a direct derivative of our talent and responsiveness to our client base. Whether you are a current or prospective client, rest assured that individuals and businesses who choose Cornerstone CPA Group receive competent and timely advice. 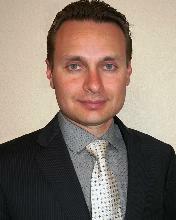 Boris Sobolev, CPA/CFF/CGMA, CVA, Partner joined Cornerstone in 2005 and became a partner in 2010. Boris was named one of National Association of Certified Analyst's (NACVA) 40 under 40 in 2017. This is a prestigious award recognizing the accomplishments of outstanding individuals in business. His passion lies in working with small to medium-size businesses whether it is helping with accounting, consulting, tax compliance or valuation. Our clients appreciate Boris's diligence, professionalism and his unrelenting attention to their needs. Boris has testified in many District Courts along the Front Range and the Mountains. Boris has played a leading role in performing extensive forensic and tracing analyses as well as complex business valuations. This has earned him recognition among some of the leading attorneys in Denver. Boris graduated UCLA with honors with a major in Economics and a minor in accounting in 2002. In 2003, he became one of the youngest individuals to pass all four parts of the CPA exam in the country. In 2005, he obtained a Certified Valuation Analyst license (CVA), giving him foundation in business valuation, litigation support and forensic analysis. In 2017, Boris became Certified in Financial Forensics (CFF). Boris moved to the United States from Russia with his family in 1994. Boris and his wife Margarita enjoy spending time outdoors and travelling with their two young sons. In the past, Boris co-founded Resource Stock Guide website and continues to be an active investor today. Certified Public Accountant, Colorado Certificate number 23810, Firm Responsible Party. Brian Campbell, CPA, ABV started his accounting career in 1971 as the Deputy County Treasurer & Deputy County Clerk for Jefferson County, Colorado. While working in Jeffco, he passed his CPA examination. 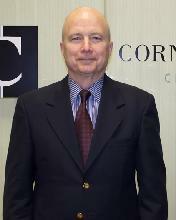 Upon leaving the County in 1975, he began his public accounting career with Thomas A. 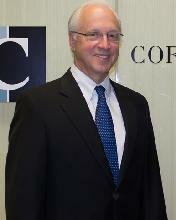 Ward & Co, a local Denver CPA firm and qualified for his CPA License in 1976. Brian is almost a native of Colorado having moved to Denver in 1956. He graduated from Lakewood High School and then from the University of Colorado in 1967 earning a degree in Finance and Accounting. He is an active member of the AICPA, CSCPA and in 2004 obtained his ABV Certificate (Accredited Business Valuator). This advanced his longtime passion for Business Valuation and Litigation Support. Brian has valued numerous businesses and testified in substantially all of the Colorado Judicial Districts since commencing his valuation/litigation specialty over 30 years ago. He has thoroughly enjoyed his participation in the accounting profession. In his spare time, he enjoys hiking, biking, skiing and tending to his back yard pond. Any opportunity to spend time with his wife and ten grandchildren (all of whom live in Colorado) is a joy. He likes staying fit and has participated in the San Francisco and New York Marathons as well as bicycle tours in Italy and France. Occasionally, he has also been known to spend an afternoon or evening at Coors field watching a Rockies game. For each of the last 23 years, he has taken an annual ski trip with three high school classmates. Every year is a new destination including breathtaking Vancouver, BC, the Swiss Alps, and Italy. 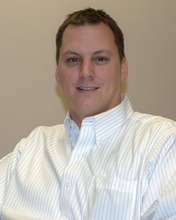 Mike began his career in public accounting in 1999. Born and raised in Omaha, Nebraska, he earned a BSBA degree in Accounting and Business Finance and an MBA degree from the University of Nebraska at Omaha. Mike joined Cornerstone CPA Group in 2011 upon moving to Denver and became Partner in 2018. Mike’s professional experience has focused on federal and state income taxes, financial statement compilation and review, and business valuation and financial forensics. In addition to his work experience, Mike has expert testimony experience in matters of valuation and forensic analysis. Mike presently lives south of Denver with his wife, Amy, and their two children Emme and Eli. In his free, he enjoys spending time with his family, traveling, and following his favorite college football team, the Nebraska Cornhuskers. In addition to being a Certified Public Accountant (CPA), Mike also holds the Accredited in Business Valuation (ABV) and Certified in Financial Forensics (CFF) credentials from the American Institute of Certified Public Accountants (AICPA). Certified Public Accountant, Colorado Certificate #29639, Nebraska Certificate #6848 (Inactive). Dave Irvine, MBA, CGMA practiced public accounting since 1966 with two years taken for graduate school at the University of Southern California. His career has been focused on working with closely held business owners that request advice in income tax matters and financial management, but also advice on time tested principles of sound business ethics, risk management and ownership succession. Dave has always been active in community organizations. He was a charter member of the Denver Cherry Creek Rotary Club, President and Chairman of the Board of the National Kidney Foundation and an officer and director of The Colorado Society of Certified Public Accountants. Dave has three grown children, four grandchildren and lives in the heart of downtown Denver with Kathy, his wife of 40+ years. He is an active skier, bike rider and a motorcycle enthusiast. Dave and Kathy are enjoying the freedom to travel and have made several trips since retirement. Theavy Sok, MACC, MsIT - is a Cambodian immigrant. She joined the firm in early 2010. Shortly after joining the firm, she assumed a key role in the firm’s Quality Control Process utilizing her years of experience in process mapping, documentation, and internal auditing. Theavy excels in the preparation of compiled and reviewed financial statements. She also provides financial analysis and operational review services to clients. She is passionate about assisting entrepreneurs with improving and understanding the importance of their accounting information system in managing their businesses. Theavy is a strong and fast self-learner. She has become the firms’ consultant on payroll, accounting services, QuickBooks accounting and assistance, and financial data extraction and conversion. While finishing her master degree of Accountancy at Daniels Business College at the University of Denver, she was employed at a Large Telecommunication company as a Staff Auditor III and became a Senior Staff Auditor the following year. She conducted Sarbanes Oxley Testing, fraud and operating audits, and she implemented process improvements. She is an avid gardener especially for high country and xeriscape gardening. She used to operate a 50 hive apiary served on an organic berry farm located in Brighton. Ken joined the firm in early 2018. Prior to joining the firm Ken had spent the majority of his career working with large multi-national financial services firms such as AEGON, Transamerica and Jackson National Life Insurance Company. Ken graduated from Rockhurst University with a Bachelor of Science in Business Administration in accounting. Ken has extensive finance, accounting and business development expertise. Ken’s analytical and problem solving skills make him an excellent forensic accountant. Ken enjoys spending time outdoors with his wife Susan and his two sons. Steven J. Renhowe, M.T., CPA has seven years of experience in public accounting, including both audit and tax experience. He earned a bachelor’s degree in business administration (with a double major in finance and accounting) from the University of Northern Colorado, and a master’s degree in taxation from the University of Denver. His public accounting experience has focused on corporate, partnership, and multi-state taxation, as well as income tax provisions for both public and private companies. Steve was born in North Dakota, grew up in Fort Collins, and currently lives just south of Denver. His personal interests include reading, golfing, rooting for the Colorado Rockies, Denver Broncos, and Colorado Avalanche, as well as competing each year in a fantasy football league with friends from college. He also enjoys volunteering and hopes to travel more in the future. Julie has been with the firm since August 2001. Her role in the firm is Office Administrator. She is responsible for much of the administrative work in the office. She is the first point of contact when a client or business associate calls our firm. She often responds to specific client needs and also maintains accounting records and performs payroll functions for some of our clients. Her outgoing and gregarious attitude helps maintain a pleasant atmosphere within the office and is enjoyed by our clientele. Julie is a Colorado native and grew up in the suburbs of Denver. She is married to a chef; and no, her husband does not cook (much) at home. Her daughter, Hayley attends Regis University, and is in the Nursing program, graduating in the Spring of 2019. Her son, Logan is a recent graduate of Green Mountain High School (Class of 2018), and a National Honor Society student. He will be attending the University of Wyoming in the fall of 2018 to study Criminal Justice and Fish and Wildlife Management. Julie is a consummate mother. There is no limit to the support and guidance she provides to her children. In her free time she enjoys spending leisure time with her family. Her daughter recently reminded her that she will have an empty nest starting Fall of 2018. She is currently seeking hobbies to fill that void. She is an avid Bronco fan and loves watching football.